AWS Case Study: Nintendo Co., Ltd. and DeNA Co., Ltd.
On the release date of Super Mario Run, there was high demand from users all over the world who were excited to experience the new product. The AWS infrastructure responded fully to the high demand. It is extremely rare for game releases with high access demand to take place without any significant problems, but by March 2017 the game had exceeded 80 million downloads without any issues reported by AWS. Mr. Kenichi Takemoto Team Lead, Business System Development Group, Smart Devices Department, Business Development Division, Nintendo Co., Ltd.
Nintendo Co. Ltd.'s mission is to "put a smile on the faces of Nintendo users." The company focuses on providing one-of-a-kind, fun, interesting, and amazing experiences to users worldwide in the field of home entertainment. Nintendo has historically specialized primarily in game consoles for the home-entertainment business. Through its games designed for smart devices, Nintendo is currently seeking to reach customers beyond console users, who are mostly located in industrialized countries. The company hopes to grow its business by increasing the number of users connected to the Nintendo IP as well as benefiting from the synergies this creates with the game-console market. Nintendo has been collaborating with DeNA Co., Ltd. (DeNA), a company with extensive experience in the field of mobile games, and since March, 2016 the companies have also begun to offer mobile apps together. Through this collaboration, the smart-device game "Super Mario Run," featuring iconic Nintendo characters from "Mario," was released for iOS on December 15, 2016. Super Mario Run, "the Mario game you can play with one hand," was released on Apple's App Store in 151 countries and regions around the world, reaching 40 million downloads in the four days following its release. "Releasing a mobile game in 150 countries and regions was quite a big challenge," says Kenichi Takemoto, Team Lead of the Business System Development Group at Nintendo. "We were aware that our devoted fans worldwide would be pre-registering and waiting in anticipation. To deliver the game to them as fast as possible, we decided to release it to customers globally combined with the service launch, instead of incremental releases in individual countries," says Kotaro Fukawa, Group Manager for the Project System Development Group at Nintendo. To face this challenge, they needed to build a solid system infrastructure in a short period of time. Even though they had already decided on a global service launch and the project was underway, at this initial stage they had not yet determined the game server's infrastructure specifications. "With the Super Mario Run project, we had only decided on the infrastructure specifications to offer the service about two months prior to the game's release,” says Shunichi Kaneko, Group Manager of the Gr. 2 IT Platform Department, System Management Unit, at DeNA. Another important issue was guaranteeing security. Because customers all over the world would be using the application, strict compliance with the personal-information-protection laws and regulations in each country was a necessity. A cloud-based infrastructure was essential for the worldwide release of Super Mario Run. When choosing the right infrastructure, two important factors were considered: whether it could guarantee sufficient resources to cope with the enormous traffic volumes at the time of release, and whether it could operate in compliance with each country's laws and regulations. Nintendo and DeNA chose AWS as the game server infrastructure that could meet these requirements. “We were already aware of AWS's operational achievements, so we saw it as the service that could guarantee the enormous resources we needed for our current project. We knew the flexibility and extensibility of the AWS infrastructure would allow us to use it without any concerns,” says Takemoto. Games involve great fluctuations in data loads, requiring large-scale resources if running on premises. "We thought that if we used the cloud we would have the flexibility to handle loads even at peak times, which would also be beneficial for optimizing costs,” says Kaneko. Also, purchasing a large-scale on-premises server would have necessitated operational resources as well as a power supply and cooling system at the installation site. Furthermore, overseas expansion would mean the server had to be at an overseas site as well, increasing operational workload. "AWS is greatly beneficial for the global game industry, not only in terms of latency, scalability, and cost, but also in its ability to significantly reduce operational workload and resource needs,” says Fukawa. Another reason Nintendo chose AWS was the possiblity of migrating DeNA's architecture, which has a great on-premises track record, directly to the cloud. DeNA has extensive experience in building large-scale infrastructures for smart-device services in on-premises environments. It has also built on-premises management systems for stable and efficient operation of these infrastructures. "When it comes to service infrastructure for smart devices, DeNA has the know-how to create a high-availability system that can be scaled easily," says Kaneko. "This time, we had to set up our infrastructure in a very short time, and we thought about running it directly in the cloud. AWS didn't present any obstacles to accomplishing this." AWS has internationally recognized security certifications, so the company was confident about using the service. "We were wondering what kind of configuration would fully guarantee security. With AWS, we could see the design. This was also one of the principal reasons for choosing AWS,” says Kaneko. The Super Mario Run service infrastructure runs on Amazon Elastic Compute Cloud (Amazon EC2) and consists of a secure, isolated environment in Amazon Virtual Private Cloud (Amazon VPC). Amazon Simple Storage Service (Amazon S3) is used to store all types of data. Elastic Load Balancing is used for appropriate load distribution of player access requests. Furthermore, by centralizing this configuration in the US region instead of distributing it across different global regions, the company was able to improve processing efficiency and provide a pleasant gaming environment for customers worldwide. "On the release date of Super Mario Run, there was high demand from users all over the world who were excited to experience the new product. The AWS infrastructure responded fully to the high demand. It is extremely rare for game releases that attract high access volumes to go off without any significant problem, but as of March 2017, the game had reached 80 million downloads without any issue reported by AWS,” says Takemoto. Super Mario Run was released for Android on March 23, 2017 and is available in 165 countries and regions. Nintendo expects the total number of downloads for iOS and Android to reach 150 million. The company has not had any problems with the infrastructure, despite an increasing number of users since the game's release. 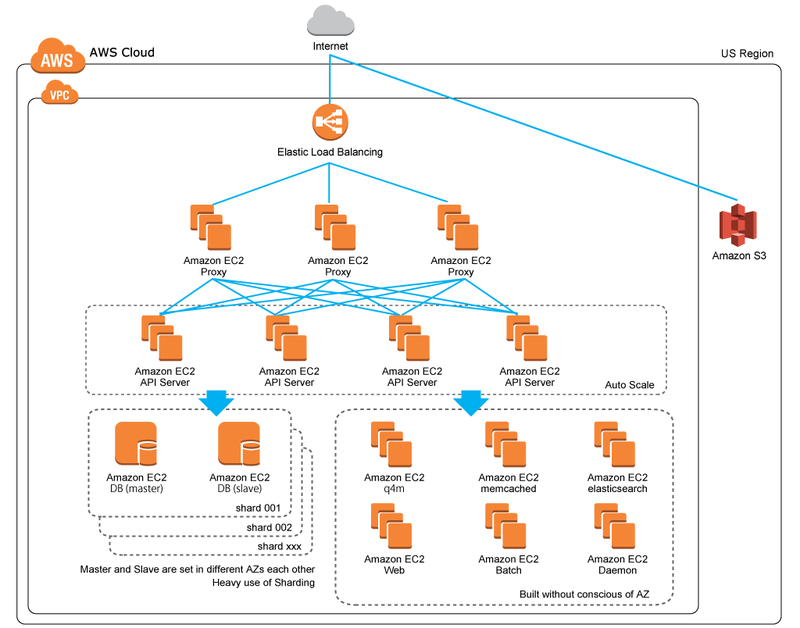 "With its capability to use resources worldwide as needed, Amazon EC2 was a major reason why we were able to create this stable infrastructure,” says Takemoto. AWS Enterprise Support engineers also helped with infrastructure design, load testing to guarantee performance, and problem solving. “With the help of AWS Enterprise Support, we were able to run enough load tests and could handle server load spikes at launch. Thanks to them, we could build a stable infrastructure that kept functioning without any problems, even after launch,” says Kaneko. Nintendo uses Amazon CloudWatch for network monitoring, which gives the company a quick overview of the AWS infrastructure. This way, both Nintendo and DeNA can monitor the same operational status. Furthermore, the easy access provided by AWS Identity and Access Management (IAM) helps ensure appropriate system use and information sharing between the two companies. "AWS's excellent management features mean we haven't experienced any operational issues. In particular, IAM has very strong access control, which is one special feature that other clouds don't offer,” says Takemoto. With the smooth release of Super Mario Run, Nintendo and DeNA are now planning new entertainment offerings that users around the world can enjoy. "We expect that from now on, real-time data processing technologies will be even better than streaming, which of course means that we will offer large-scale games even for smart devices. We hope that when that time comes, AWS will continue to offer us services that meet the demands of the game industry,” says Fukawa. 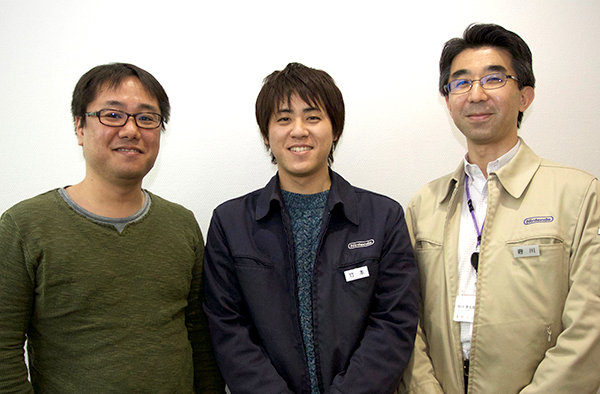 Left to right: Shunichi Kaneko, Group Manager, Gr. 2 IT Platform Department, System Management Unit, DeNA Co., Ltd.; Kenichi Takemoto, Coordinator, Business System Development Group, Nintendo Co., Ltd.; Kotaro Fukawa, Manager, Business System Development Group, Nintendo Co., Ltd.
To learn more about how the AWS Cloud can help media and entertainment companies, visit our Digital Media in the AWS Cloud detail page.